I’ve been thinking about implementing something like this for a while - got excited by this tweet I thought I would do some exploring and write out a post over the weekend. 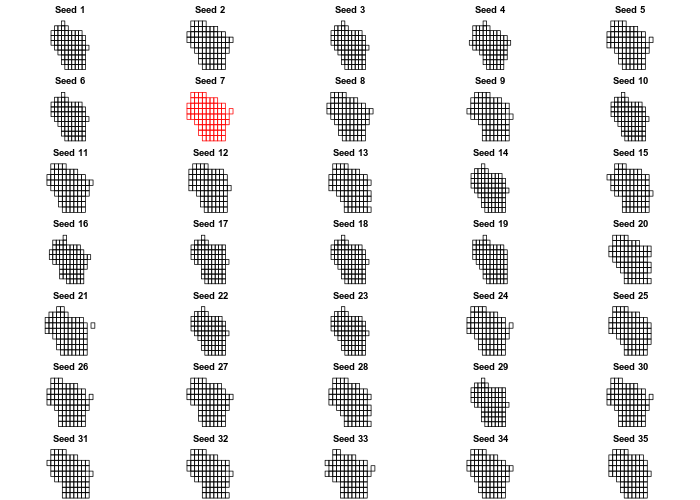 Creating a county-level hex grid of Wisconsin makes for a perfect supplment to my earlier post about mapping the 2016 Wisconsin presidential results. I like the look of the 28th hexagon grid, and the 7th square grid. Let’s take those and assign the polygons to a new SpatialPolygonsDataFrame, then fortify . Cool to know that’s possible! Let’s use some more novel data than land area. 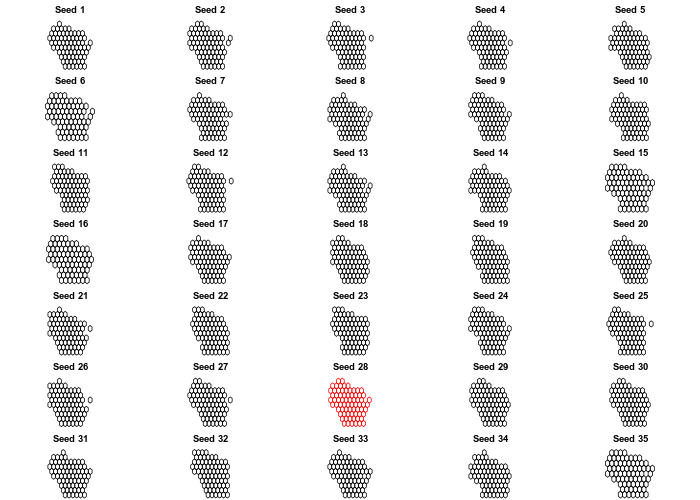 Building off of a previous post mapping Wisconsin presidential election results, let’s map vote totals to our new gridmaps.